This week’s “SNL” gave us a “The Price Is Right Celebrity Edition” sketch featuring the following contestants: host Larry David as Bernie Sanders, Chris Redd as Lil Wayne, Kate McKinnon as Tilda Swinton and Alex Moffat as Chris Hemsworth, each alongside a studio audience contestant. 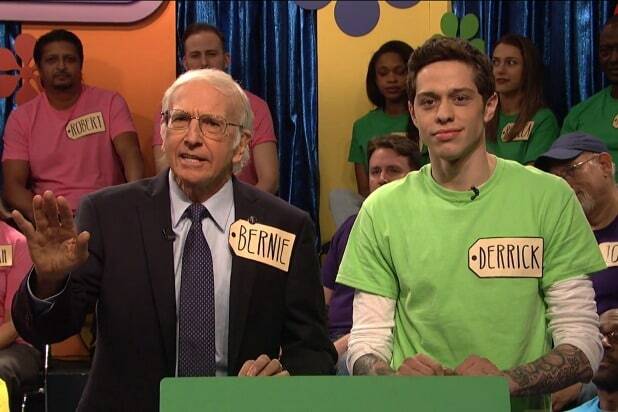 Of course, they couldn’t have Larry David do Bernie without a dig at the former presidential candidate’s relationship with the Democratic party after running for said party’s nomination in the 2016 election. 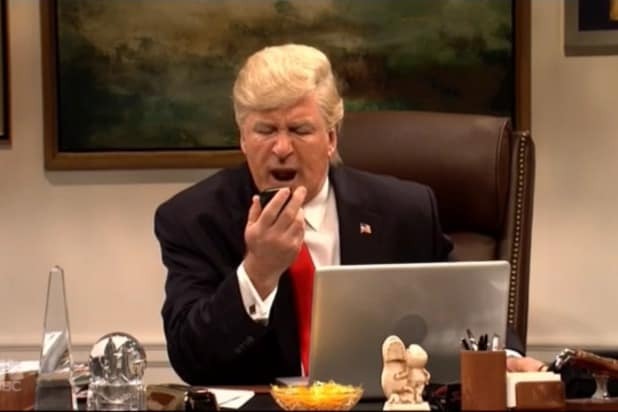 Alongside the celebrity contestants, others appeared in various roles, like Alec Baldwin as Tony Bennett and Melissa Villasenor as Ariana Grande, who were the spinners of the famed “The Price Is Right” wheel, and Cecily Strong as Sofia Vergara presenting the prizes. We got McKinnon’s Swinton being weird and guessing David Bowie’s soul as the price of a washing machine, and Moffat’s Chris Hemsworth — whose accompanying normal person contestant was played by music guest Miley Cyrus — phoned a friend, who just so happened to be Chris’ brother Liam Hemsworth, playing himself. So we had a fake Chris Hemsworth alongside the real Liam Hemsworth alongside Liam Hemsworth’s actual real-life girlfriend Miley Cyrus. It was total madness, in case that wasn’t clear.